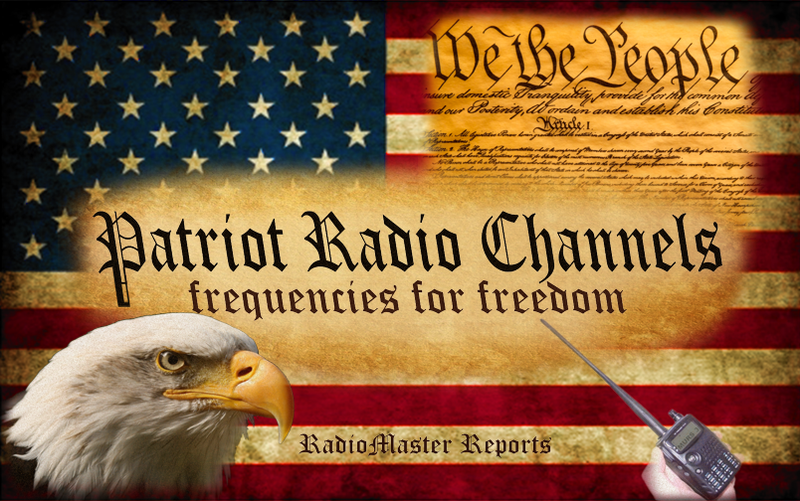 ← SHTF: Will They Steal Your Radios? In an emergency, you may need to communicate with others who are using various types of radios, on many different channels. Are they using an FRS radio? Or is it MURS or GMRS? Or are they on HAM 2 meters? Marine VHF? Don’t let a lack of preparation prevent your emergency communication needs. Whatever it is, wherever you are, prepare for it now by programming all those channels in your radio. When disaster hits, just dial them up and talk. This frequency file is for programming VHF-UHF transceivers (VHF-UHF HT). 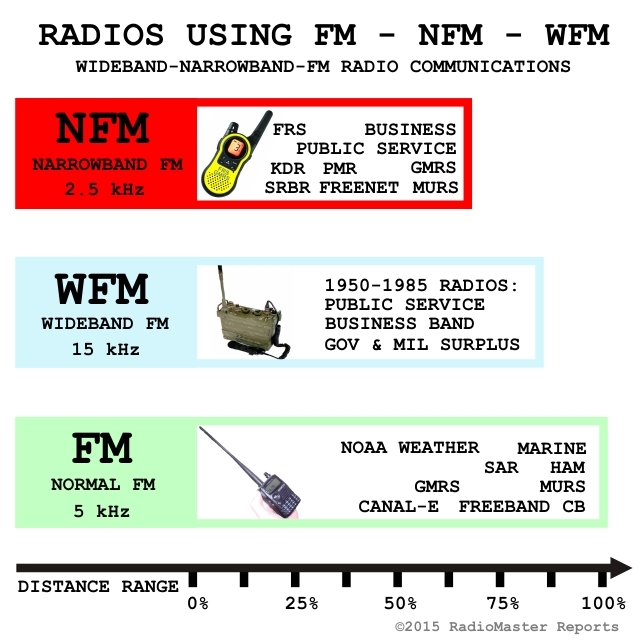 It turns your FM HT into a wonderful HAM-FRS-GMRS-MURS-MARINE-WEATHER-BUSINESS-SAR radio for Disaster Preparedness and Emergency Communications. All FRS, GMRS, PMR, and MURS channels are programmed (transmitting the most common PL tone squelch but receiving carrier squelch for maximum interoperability). Highly recommended SHTF Survival channels, well-known Ham Prepper organizations’ calling channels, most common Marine VHF Simplex, along with Ham radio 2 meter simplex channels are included. NOAA Weather channels are provided for receive-only purposes. For easier use, each channel has a corresponding abbreviated Channel Name that can be displayed instead of the frequency, selectable in some types of radios. The Chirp software is convenient and popular. The downloadable CSV file we provide here can be opened in Chirp, and it may be modified if necessary to add some of your own frequency channels. Then use a USB-to-Radio cable to load the file into your HT radio. You may need to unlock your radio for full spectrum transmit. YMMV. Note: Material presented here on RadioMaster Reports purposely does not include information or advice about licensing, governmental authorizations, radio rules, or legalities concerning radio frequencies. Please see other radio forums for greater focus on such issues. The focus of this forum is on the technology details of frequencies, programming, and electronic radiocommunication for Emergency Disaster Preparedness and SHTF Radio Survivalist Prepping. The design objective of this programming file is to maximize interoperability with common radio services within 99 channels, so that it can be used within the memory limitations of inexpensive radios. This has led to a small compromise, by not including some less-common business channels and marine commercial duplex radiotelephone channels. An additional larger channel list programming file will be posted on the RadioMaster Reports site for download, when it is updated. Family Radio Service (FRS) is a low power, short range, radio system. FRS walkie talkies are known as “bubble pack radios” because they are sold cheaply in the hang tab shelves of stores or in the toy section. They can be found nearly everywhere on the planet now, and are some of the most ubiquitous radio communication devices in the world. FRS radios are limited to a half-watt of output power (500 milliWatts) and have permanently attached antennas, preventing the addition of an external gain antenna. So, the normal range of FRS walkie talkies in a suburban environment is about a mile or less. FRS Frequencies are FM simplex, 7 channels at 462 MHz and 7 channels at 467 MHz in the UHF band. These channels are in between the GMRS frequencies. GMRS radios may also include FRS channels. The default PL tone for FRS is 67.0 Hz. It is also known as Privacy tone #1, or PL XZ, or Sub-channel CTCSS 01. General Mobile Radio Service (GMRS) is a local distance radio system in the same UHF band as FRS. GMRS radios can be capable of longer distance range and greater dependability than FRS. GMRS is becoming more popular as bubble pack walkie talkies (HT) include both GMRS and FRS channels. GMRS-specific frequencies are FM simplex or duplex with 8 channels at 462 MHz and 8 channels at 467 MHz in the UHF band. The maximum power level of a GMRS is limited to 50 Watts. The most common GMRS mobile, base, or repeater radios use external gain antennas. GMRS walkie talkie handheld transceivers (HT) have only 5 Watts or less, commonly with a ducky antenna. Full duplex repeaters can be used with GMRS. GMRS Repeaters have their input channel at 467 MHz, and their output at 462 MHz. The offset is exactly 5 MHz. For repeater use, the field units transmit on 467 Mhz and receive on 462 MHz. Most bubble pack GMRS radios are simplex-only, so they do not function through a repeater. They operate only on the repeater output frequency (GMRS Channels 15 through 22). The default PL tone for GMRS simplex is 67.0 Hz. It is also known as Privacy tone #1, or PL XZ, or Sub-channel CTCSS 01. In a GMRS radio, the GMRS channel number is often the same for simplex and duplex, but a secondary (programmable) feature of the channel controls whether it transmits duplex +5MHz split or simplex. The GMRS simplex and duplex (repeater) channels are included in this list and programming file. In the Channel Name, they are programmed and identified separately; the repeater channel has an R in the channel name. For example as GMR 20 is the simplex channel, and GMR20R is the repeater duplex channel. PL tones vary among different repeaters in various geographic areas. The default PL tone for GMRS repeater channels is 141.3 Hz, but it can be changed in the user’s radio programming to another PL tone frequency as required to hit specific repeaters. Personal Mobile Radio (PMR or PMR446) is a low power, short range, radio system similar to FRS. It is very common in Europe, Africa, and Asia. Walkie talkie bubble pack PMR radios are sold cheaply. PMR radios are limited to a half-watt of output power (500 milliWatts). So, the normal range of PMR walkie talkies in a suburban environment is about a mile or less. PMR frequencies are commonly FM simplex, 8 channels at 446 MHz in the UHF band. An additional 14 digital channels are available for PMR446, but are less common. In USA and many other places, the 446 MHz band is assigned to Amateur Radio Service (Ham) so, all the PMR channels can be used by hams in those areas. The default PL tone for PMR is 67.0 Hz. It is also known as Privacy tone #1, or PL XZ, or Sub-channel CTCSS 01. The PMR Prepper channel (PMR 3) (446.03125 MHz) is somewhat interoperable with the Ham UHF Prepper channel (HAM U3) (446.030 MHz). Amateur Radio Service, widely known as Ham Radio, is an internationally allocated radio service for non-commercial radio communications. It has frequency bands in all areas of the spectrum. The ham radio frequencies in this list are only a few of the most common VHF and UHF channels used by ham operators for local FM simplex. Additionally the list includes the Prepper Ham VHF simplex channel (146.420 MHz), the Survivalist Ham VHF simplex channel (144.550 MHz) and the Prepper Ham UHF simplex channel (446.030 MHz) that is somewhat interoperable with the PMR Prepper channel 3 (446.03125 MHz). The default PL tone for Ham is 100.0 Hz. It is also known as Privacy tone #12, or PL 1Z, or Sub-channel CTCSS 12. Most hams also make use of repeaters in the VHF and UHF bands, but the channels for these repeaters vary according to geographic area. There is no universal repeater channel frequency or PL tone that is valid in all areas, they are all different. When programming your radio, it is advisable to include the repeater channels and PL tones in your area. See a repeater directory for more information. 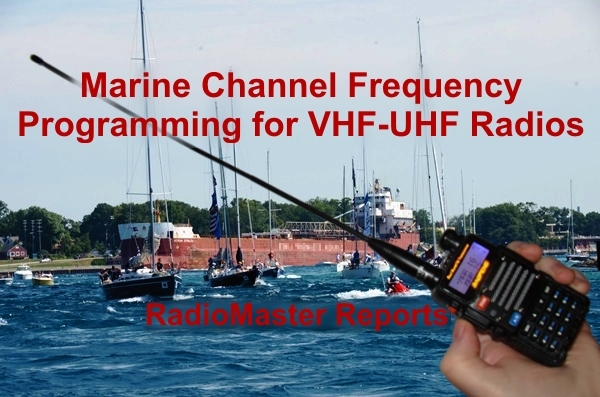 Marine radio service in this list includes the most common simplex VHF channels in use by boats and ships, for inter-ship and safety communications by FM voice. Marine VHF radio is used on the high seas, inland waterways, lakes, and rivers by vessels and shore stations. No PL tone is used by Marine VHF radios, it is all carrier squelch. The Marine channels have the transmit PL tone turned off, and use Receive Carrier Squelch. Most Marine VHF radios also have duplex channels for use when communicating with shore radiotelephone and port operations. The duplex channels are purposely not included in this list, in order to keep the total number of channels below 99.
Business radio, or commercial VHF and UHF radio channels, are generally set up for specific companies in a local geographic area. There are also a few business radio channels, called Business Itinerant, that are devoted to operation anywhere. These are low power simplex channels, and only 2 of them are included in this list. The Red Dot (151.625 MHz) and the Purple Dot (151.955 MHz) channels are common Business Itinerant channels, and they are some of the most popularly used channels on VHF for commercial or rental HT walkie talkies. The default PL tone for the Business channels is 67.0 Hz. It is also known as Privacy tone #1, or PL XZ, or Sub-channel CTCSS 01. For EMERGENCY ONLY, SAR is a service channel for Search and Rescue (SAR) or Emergency Medical Technicians (EMT) . The primary interoperability channel in USA for SAR is 155.160 MHz FM simplex. This is a very important channel to keep clear for emergency purposes, and should never be transmitted on for non-emergency communications! The purpose is to provide mobile, HT, and base communications for field operations of land or ground search and rescue teams, ambulances, and medical personnel at the scene of incidents. It is identified in the list as the channel name SAREMT. The default interoperability PL tone for SAR EMT is 127.3 Hz. It is also known as Privacy tone #19, or PL 3A, or Sub-channel CTCSS 19. All channels in the list are default Carrier Squelch Receive. All FRS, GMRS, PMR, MURS, BUSINESS, and HAM channels are programmed for Transmitting PL tone. For interoperability, the Transmit PL is set to default to the most common tone frequency for each channel and type of service. The Marine channels have the transmit PL tone turned off. The user may change and reprogram the PL Tone frequency as needed, or may desire to use Tone Squelch instead of Carrier Squelch. This entry was posted in Survivalist Prepper Communications and tagged Baofeng, Channels, Chart, communications, disaster, FM, Frequency, FRS, GMRS, HAM, Icom, Kenwood, MURS, PMR 446, preparedness, Prepper, program, Programming, Survival, Survivalist, UHF, uv5-r, VHF, WEATHER, Wouxun, Yaesu. Bookmark the permalink. transmit on some of these freqs in the usa with out proper licencing or a proper cerified radio is against FCC regulations and is illigal. Please consult FCC regulations if your in the usa before useing any freq for transmit. Im not sure about the laws of other counties. Please consult your local laws carefuly. The PMR freqs are a europian standard and conflict with the ham radio bands in the usa. If your gona freeband on UHF and VHF in the usa with out a licence on a cheep chinese radio ( and i dont condone this) use the MURS freqs and not the GMRS, FMRS, or other freqs. you wil be less likly to get in any trouble or interfere with other licenced traffic. Thanks, Trinity for comments! For VHF/UHF, we agree on your recommendation of MURS channels for normal every-day usage. GMRS is also a good choice. External gain antenna systems can be used to increase the limited distance range of either MURS or GMRS. Linear amplifiers and repeaters can greatly increase the range of handheld, mobile or base units. As for the details of licensing, governmental authorizations, rules, or legalities of specific radio frequencies and services: these were *purposely* not part of this article. License and legal issues are very well-covered in other forums. The focus of this site is primarily Emergency Disaster Preparedness Communications, Survivalist Communications, and SHTF Prepper communications. It is clearly not the objective of this site to discuss rules and regulations. In a severe SHTF situation, people will simply do whatever they need to do, and that includes using any means of communications they can access. This site covers international applications and radio communication information for those who travel to various areas of the world. Regarding PMR 446: In USA and many other places, the 446 MHz band is in the Ham band so, all the PMR channels can be used by all hams in those areas. In other places where the 446 MHz PMR is used, it is not a ham band. Since millions of these PMR446 radios exist, it behooves the prepper to prep for them. In an emergency or SHTF, any type of radio might be found, or need to be communicated with. Keep your fed business to yourself I am personally not interested in what you have to say about fed rules, you like live by them by all means do that, but keep quoting fed law like its parts of the constitution then you prob hit alot of deaf ears just an idea, most freebanders are quite awares of what they are doing and some also hold fcc lic, I dont, and know what Im doing I choose to keep it that way. I am personally not interesting in anything about the fed and this is my country. Ill transmit whenever and however I want respectfully. out. Laws are what keep civil society civil. 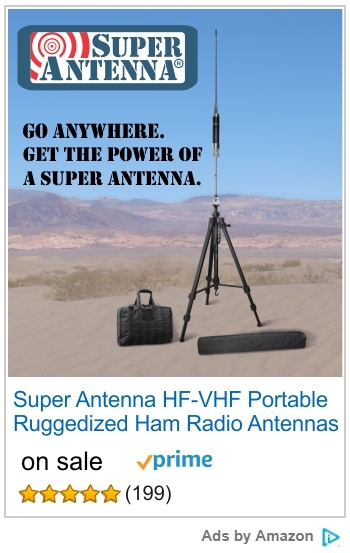 If you want to broadcast on a “ham” frequency then go get a ham license. All it takes is a little study. Stay off official Police and Civil Defense Frequencies. When the SHTF be part of the solution, not part of the problem. Look at the big picture. Remember the Golden Rule. You’re clearly on the learning curve. Trinity (KF5YFD) is correct and has made helpful comments which should be taken into account. It doesn’t matter whether you agree with the rules and regulations, it only matters that you conduct your transmissions knowing that these rules and regulations, if broken, can bring a shi*storm down upon the user. Isn’t it the understanding that ‘prepping’ is an act to survive? What happens if you bring attention to yourself prior to the collapse, when the system is still working? You don’t think that it is possible to ascertain the location of a transmission in the blink of an eye? Or is it you don’t believe the FCC (or whatever governing body is in control in your nation) has the ability to enforce said rules? What if you are wrong? Doesn’t that put all your effort, investment, and plans at risk? Instead of being overtly defiant, how about being covertly intelligent. If you are a sniper, you don’t stand up and start yelling and waving your arms around shortly before the target is scoped. If you are a guy with a LGDB of gold, and a hand-cannon of a gun, on his way to secret it in a unknown location, you still don’t carry it on your shoulder as you make your way out the door. If you thought the success of your objective would still come to fruition, that would be delusional. Rich KK4VRE / WQST332 / KNJ2MB / etc. I programmed this via Chirp and the settings appear correctly matching on the radio. I can receive FRS channel transmisssions, but when I transmit the radio produces a Tone noise, but no audio is received on my other radio. any ideas? Figured out my issue. I can only TX up to 450Mhz on my Wouxun radio. My RX is upto 520Mhz. The ICOM IC-T7H can be modified to transmit on all 2m and 70cm bands by removing one single diode chip. Mods can be found on the web easy enough. You need to get antennas [rubber ducks] for the various frequencies for all this to work. That means Police, Fire, Ambulance, SAR, Coastguard, Navy, Passenger Ships, Other Ships At Sea, Aircraft…I think you get the message. Thanks for this list and article it was really helpful! Turn on “Channel Name Display” on your radio to show it as MAR16. (Marine 16) instead of number. Just wondering why GMRS Ch. 1 is duplicated in the 0 and 1 slots. Is this intentional? It looks like the same line entry. You can change channel zero in the programming to your favorite channel. What is my best bet? UV-5R or BF-F8 or other???? Jason, if your wanting to stay with the UV-5R family of radio’s produced by Baofeng, then get either BF-F8+ or the BF-F8HP and that way all of your accessories will be interchangeable with the UV-5R to include the battery packs. The BF-F8HP is the only radio that will transmit at 8 watts, 4 watts or 1 watt. No other Baofeng radio will do that. The UV-5Rs employ the first generation chips and boards whereas the BF-F8+ and the BF-F8HP employ the second generation chips and boards therefore making receiving and transmitting much better. Dusty bump! Get the Baofeng UV-B5! Woot!!! well considering that the baofeng uv-b5 radio cannot share battery packs with any other baofeng radio, you are shooting yourself in the foot. plus you are limiting yourself to 99 channels instead of 128. also the uv-b5 is not fully part 90 narrow band compliant since it does not have the 2.5khz channel step that is required on the new frequencies that are being issued. the best overall baofeng radio is the uv-82 series especially the uv-82c as that is the only baofeng radio that is fully compliant with part 90 and narrow banding mandates. the best baofeng from the uv-5r series is the bf-f8hp with the bf-f8+ coming in close behind. no there is not rudy. aviation band frequencies 108-136 are in am. this radio since it is part 90 is only in fm. easiest thing to do is get a handheld scanner that covers the aviation band. Might want to relist the list when the following corrections are made. 1, Ham and FRS are still wideband with no foreseeable change in the future. 2. GMRS licensing is on its way out, therefore is good to be listed. 3. Recognize that in a SHTF condition, the government will have either failed or fallen or tried to take the BOR (bill of rights) and the constitution away from the citizens, and will NOT be able to enforce FCC rules and regs. 4. Include Federal freqs such as VTAC (VHF) which are used for HS (Homeland Security), and othe state and local governments for interoperability. Just a few recommendations.. There are some exceptions to the above for specific new radios or some older systems, such as 30 MHz to 50 MHz. It varies a lot by country or area of the world, the above generalizations apply to USA. As of 2013 in USA, all public safety and business industrial land mobile radio systems operating in the 150-512 MHz radio bands must be Narrowband (such as 2.5 kHz FM deviation), operating with 12.5 kHz channel spacing. As per the FCC website on narrow banding, more specifically, all existing Part 90 radio systems operating in the 150-174 MHz and 421-512 MHz bands have until January 1, 2013 to convert those systems either to a maximum bandwidth of 12.5 kHz or to a technology that provides at least one voice path per 12.5 kHz of bandwidth or equivalent efficiency. 12.5 kHz is the narrow banding portion which is cutting the bandwidth in half from the 25 kHz where it has been. 6.25 kHz and 2.5 kHz are channel steps and especially the 2.5 kHz channel step was added during the transition to narrow banding. There are frequencies that are exempt from narrow banding and they are as follows: 152.0075 and 157.4500 MHz in the Public Safety Pool, and 152.4800, 157.7400, 158.4600, 462.7500, 462.7750, 462.8000, 462.8250, 462.8500, 462.8750, 462.9000, 462.9250, and 465.0000 MHz in the Business Industrial Pool. If you are living in Puerto Rico and the U.S. Virgin Islands you will have the following five additional paging only frequencies in the Business Industrial Pool: 150.8300, 150.9200, 151.0700, 151.1900 and 151.3100 that are exempt from narrow banding requirements. Ham radio frequencies are also exempt from the narrow banding requirement and they are not expected to switch to narrow banding any time soon. There are however some ham radio frequency coordinators that are having some narrow banding in their areas switched over to, but for the most part, ham radio equipment under part 97 do not have the capability of moving to narrow band. We would have to purchase Part 90 radio gear which we can use legally for ham radio operations if we were mandated by the FCC to cut our bandwidth in half down to the 12.5 kHz. FRS, GMRS and MURS radios and frequencies fall under FCC Part 95 requirements and therefore exempt from the narrow banding under rule Part 90. FRS radios are already operating in the narrow band range with their 2.5 kHz channel step and their 12.5 kHz band width. GMRS radios and their assigned frequencies are either 5 kHz channel step or 2.5 kHz channel step. But Part 95 radio service is exempt from the Part 90 narrow banding requirements of 2013. Marine band frequencies in the United States fall under FCC Part 80 rules. I bought a Baofeng UV-5R V2+ for shtf or just emergencies. I dont have my license yet, so right now im using it as just a scanner for weather, emergencies, etc…. So (even if it is illegal) is this radio able of picking up the MURS, FRS, GMRS, PMR, etc… frequencies? This radio will program any frequency from 136-174, 400-520. MURS, FRS, GMRS, PMR, et al are in those ranges. Cool. It programs in those ranges. My question is, does it ‘Transmit’ on those frequency ranges as well or are they blocked to Ham Bands Only? They are not blocked. GMRS radio specification. On GMRS frequency the antenna can be removable. The part about the non-removable antenna is not correct as per the FCC. GMRS radio’s may have a detachable antenna and this is how the AnyTone TERMN-8R radio is legally in compliance with FCC Rules governing Part 90 and Part 95 transmissions and other requirements. All of the Baofengs will transmit also in those ranges. It is up to you the end user to lock out the transmit if you want to or not. Does anyone have recommendations for communicating with a Baofeng to another Baofeng without having a license? Any frequencies available for good distance? 4-5 miles? Joe, since none of the Baofeng’s or Wouxun’s for that matter are Part 95 certified, legally you will not be able to use these radios on MURS. However, that being said, many people are totally ignoring the FCC rules and using FRS, GMRS and MURS frequencies on these throwaway radios. Here are the five MURS VHF frequencies: 151.8200 MHz, 151.8800 MHz, 151.9400 MHz, 154.5700 MHz, 154.600 MHz. Many people without a ham license are using the MURS VHF channels. MURS does not require a license or callsign. *there are technical equipment requirements for MURS, but those are mostly ignored by the general public who use Baofeng and other HT radios to achieve longer distance than GMRS channels. FREENET is a set of European license-free VHF radio channels. Freenet started in Germany and has spread to some other European countries. It is like VHF CB. The potential distance range is generally more than PMR 446 UHF CB. Channel E is the Emergency Search and Rescue (SAR) radio channel, it is only used in the Alps mountain border region around Switzerland and France, where Mountain SAR and ski patrols monitor this channel. Transmitting on these [European] frequencies in the United States would be highly illegal as those frequencies in the 149 MHZ range and the some in the 161 MHz range are owned by our United States Department of Defense which fall under the rules and control of the NTIA. Just some thing to keep in the back of your mind. This site covers international applications and radio communication information for those who travel to various areas of the world. As for the details of licensing, governmental authorizations, rules, or legalities of specific radio frequencies and services: these are *purposely* not part of this article. License and legal issues are very well-covered in other forums. The focus of this site is primarily Emergency Disaster Preparedness Communications, Survivalist Communications, and SHTF Prepper communications. It is clearly not the objective of this site to discuss rules and regulations. In a severe SHTF situation, people will simply do whatever they need to do, and that includes using any means of communications they can access. In an emergency or SHTF, any type of radio might be found, or need to be communicated with. Look I am going to say this politely not everyone is out to destroy what this site is for. In the spirit of prepping I say be seriously smart look these frequencies up BEFORE you consider trying to transmit just to keep you out of big brothers eye. We are a community and need to look out for one another. Happy Prepping and remember be smart do your own research after finding information at any website if in the us look up the FCC registered agencies to watch out on/for to monitor but not transmit on you can find a wealth of information just be safe. Can someone please tell me what i am doing wrong that this file does not work? I am able to read the channels that came with the radio. I am able to back that file up without problem, but i cannot open this CSV file in CHIRP. All that shows up are channels with nothing in them. When i first try to open the file, the program wants me to select the radio again, and i do that, and then it just loads empty channels with “error” showing in the channel name boxes. Where am i going wrong? Steve, stick close to following: 1-EXPORT working image file from CHIRP to csv. 2-EDIT csv in spreadsheet as necessary. 3-SAVE edited csv. 4-IMPORT saved csv to same image file in CHIRP. Only after importing your csv into the image file, will you be able to upload to radio. Thorough set of articles. Could you clarify the use of 67 KHz as default tone for the MURS, PMR, FRS, and FMRS frequencies? Is that SOP? One could think that no tone is the default setting. All FRS, GMRS, PMR, MURS, BUSINESS, and HAM channels are programmed for “Transmit PL Tone” with “Receive Carrier Squelch”. 67Hz PL Tone is the most common “privacy tone” for FRS. The Marine channels have the transmit PL tone turned off. The user may change and reprogram the PL Tone frequency as needed, or may desire to use Tone Squelch instead of Carrier Squelch. Hi. I finally by some miracle got them programed. However all the Tones are 88.5. Do I need to change them to 67? I was using your download so have no clue where the 88.5 came from. Also all the DTCS Codes are 023 and the DTCS Pol is NN. Are those correct? Appreciate your help. There are many different reasons why so many of you have issues with Chirp programming. First and foremost, if you buy the cheapest programming cable you can find, you can reasonably expect that it’s a fake (i.e., illegal) cable made with a bogus Prolific chipset. Prolific got tired of Chinese companies ignoring their U.S. patent, so they wrote a new software driver years ago that looks to see if your Windows computer is attached to a “real” cable. If it is, your software driver worries are over (that’s not the same thing as the Chirp frequency programming software by the way). If not, expect to spend hours trying to get your fake cable to work. Some will succeed, many will not. Second, even if you have the correct cable driver installed, Chirp is not the most user friendly piece of software out there to use (by far). The more complex you want to program your radio, the more difficult Chirp becomes to understand. Third, many times folks (with older working versions of Chirp) will practically brick their newer radios by not knowing that older working versions of Chirp don’t always program newer versions of radios, especially newer firmware versions of Baofeng radios. Baofeng made it tougher to know your radio’s “real” firmware version since you can no longer simply hold down the  key on power up to see the radios firmware. All of them now report BFS297 regardless of their actual firmware, so you can easily brick a Baofeng UV-5R series, UV-82 series, or BF-F8 series radio by using an older version of Chirp. “If” you are really serious about communications during a SHTF event, don’t spend thousands of dollars on your stockpile and then treat your comm gear as an afterthought. Spend a few bucks on Amazon and get professional grade programming software for your radio gear. If the SHTF event does happen, the money you spent on quality gear (be it radios, software, guns, knives, flashlights, solar panels, etc., etc.) will long be forgotten and your stuff will just work. Excellent site I found it looking for info on why my BF-F8 wont take a freq in the 440 range. Lots of good info and discussion here without resorting to childish BS. Where is the expanded list of channels. I,E. greater than 99. Reblogged this on N6RKY’s Weblog. Along the same line…I’ve printed the Programming File Channel List twice this summer (June, and today). The TONE HZ column figures were 67.0 in June & now are 88.5 where the 67.0 were previously. Which is it and where is MOST RECENT and CURRENT listing for this list? Would a Version/date notation be a consideration? Thx for all the helpful information. Thanks for details about all the frequencies. For larger, 200 channel radios, I’ve put together a complete SHTF frequency list. I know there are some who want to use the PMR frequencies in the US. I would advise don’t do it. Hams do guard their bands and if they hear you, they will turn you in. The FCC has given ham OOs (official observers) more “power” than before, which means the FCC will more likely follow up on complaints and give more weight to an OO report. Plus the FCC is policing the ham bands more than they used to. Get a ham license, it’s so easy to do. I know some will think that in a SHTF event, the rules go out the window. Not entirely true. Sometimes the government will clamp down even more. A few years ago, I bought an Icom receiver that could go to 2 GHz. Now you only get them if you are connected with a lab or college doing research. Remember, during WW2, ham radio was shut down so the government can use those frequencies. Nothing says they can’t do that to all of these frequencies. Is this list still accurate, as of this date, or has an updated one been posted elsewhere? It’s still good as far as I can tell, but if you have a 200-999+ channel radio, then you’re going to want more. Check out the master SHTF list here (designed for the Wouxun 9D (Plus): There’s a nice PDF you can download. To add something to a previous post, a few things I question. I have no idea why you use a tone on ham simplex frequencies. It does not give any “security” to your transmission. It only allows a receiver with a tone encoded squelch to receive you if set to the same tone. Unfortunately, the nature of FM, the loudest signal captures the receiver whether encoded or not so if a louder signal with no tone will block one with. Also, if someone drops a nuke, all your radios will be toast from the EMP. If working, the best you can get from any of these for reliable communications is about a mile between units. That’s clear path, no trees, hills, etc. Don’t forget solar panels for charging because some brands (Woxoun) drain the batteries even when off! And learn to program them manually. If somehow it gets messed up, you ain’t gonna be using you laptop to reprogram it and they’re not too good for pounding in tent pegs. As pointed out before,the programming is set to “use PL Tone on Transmit” while using Carrier Squelch for Receive. Well, madmax, you hope so. They may not take kindly to someone messing on their frequencies. No one really knows what would happen in a SHTF situation but it’s better to prepare for the worse situation. Could be a total shutdown of all frequencies! Any transmission could be viewed as an “enemy from within”. Thank you to radiomaster reports for all the frequency lists, by the way. Echoing some of the previously posts, don’t operate where you do not have a license. You will stick out like a sore thumb. Especially if any part of the government is still active. During WW2, the ham bands were shut down for military use. No reason it couldn’t be done again to ANY bands that you may want to get on. Also, learn to manually program your radio. If you need to change the frequency assignments after SHTF you may not have a computer available. There may be a ban soon on the sale of some of these HTs because of their ability to be programmed “out of band” and violations of rules for FRS and GMRS radios. BTW, if there is an EMP, most of these radios will be plastic junk, more than they are now. Before SHTF, don’t mess on the ham bands. Hams take Intruders seriously. Don’t rely on repeaters. During Sandy, there was not one functional machine in my area which is about 20 miles from NYC. Need longer distance, use CB (maybe doubles it) or get a ham license. 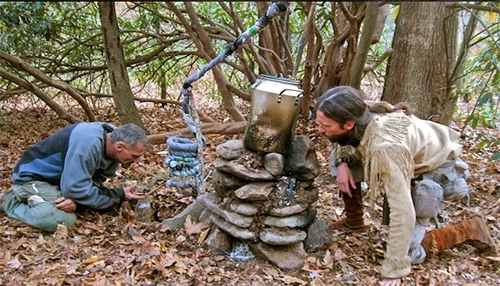 It’s too bad a lot of the other sites “prepper” information is so incorrect. And remember, two or more transmissions and the “bad guys” can know where you are. Be warned. RT System is the best programming system there is. I’ve used various programs. For ham rigs, you don’t need a computer to program, it’s just faster and more convenient. That’s why I say you should learn to program manually just in case. Commercial rigs can only be programmed by computer. I have no choice on programing software in that market, Motorolas use DOS software to program. yes the ham bands were shut down,during ww2.. but also remember, during a real emergency any radio on any frequency can be used, weather you will be answered is another thing …… see, the bad guys can track you, just like we can track them .. so, do you really want to give up your location ?? During a real emergency and if the government shuts down a radio frequency band, you transmit on that band, you’re screwed. What ever is left of the government might still go after intruders. I don’t know why peppers think that in a SHTF situation all rules are null and void. They may not be. Especially if you go on frequencies that are assigned to other services. Why take the chance? The bad guys can only track you if you transmit. So listen first. I know about tracking. I used to be in a 10 meter amateur group who used to find CBers illegally operating in the 10 meter ham band and convince them (usually by talking to them) that it’s not such a good idea. Rarely did we have to report them to the FCC. i doubt they will be looking for radio offenders, there most likely will be to much other important stuff going on …… the military, on the other hand, might be looking for intruders … and it will be our jobs as hams / radio enthusiast, to help them locate it bad guys, so, it would be best for us, to listen and not transmit, else we just might be on there ……. find list !!! Before folks plunk down their hard earned cash on anybody’s radio (DMR or LMR), I suggest you read an article that compares digital to analog radios. We sell both types, and have been in radio 40+ years, but unless you happen to live near a DMR repeater, you’ll find the DMR repeaters scarce in most sections of the country, plus the DMR radios are much more difficult to program (for most folks) vs. analog. My home state of AZ has 20 open DMR repeaters on VHF/UHF bands (and most of them in the larger cities of Phoenix or Tucson), but 340 analog repeaters on VHF/UHF (around 17 times more repeaters) located all over the state to provide far greater coverage to various bug-out locations. Don’t be fooled either by the digital fans that talk about linking distant repeaters on digital, analog folks have been doing the same thing for years using IRLP and EchoLink. I’m not suggesting that you can’t have fun playing with digital, just realize what you’re getting into first. Seek more info regarding digital vs. analog radios. I don’t think most people prepping for SHTF or major emergencies are worried too much about access to local repeaters, many of which may be unusable during such an event. However, most of the modern DMR radios are also very competent analog radios, so there’s really no reason not to have both in the same radio, provided you have plenty of both modes programmed for any given event. As well, DMR isn’t just for repeater use (or just to have fun playing with) and can be very useful for private/covert simplex communications during a SHTF event, which I think many people following this site might be interested in. Just because you (or I) have a DMR radio does not make our conversations “secure” – it just means that folks on analog won’t understand what’s being said on that same frequency (when both analog and DMR are being used). The same could also be said of DStar, C4FM (when in digital mode), NXDN, IDAS, P.25, etc., etc. Using any form of digital communications (including MotoTrbo DMR) does NOT automatically mean your communication is “secure” when someone else with a similar radio parks on your frequency, at least not in any traditional encryption method that could be used by either amateur radio, prepper, or small business folks. The article I wrote over a year ago still has many valid points, although the number of open DMR repeaters in my home state has finally reached 20 (from 18 a year earlier), DMR still has a long way to go (both locally here in AZ and nationwide) before the amount of open DMR repeater coverage area even begins to equal open LMR analog. As before, I’m not knocking all things digital, it’s just that folks need to understand the pro’s and con’s of DMR vs. LMR – plus folks need to understand that both Icom and Kenwood support D-Star, & Yaesu supports C4FM System Fusion, and those three vendors just may have some sway into which digital standard eventually wins the race within both the amateur radio and prepper market. To prove that point, try ordering a new MotoTrbo repeater for your local ham radio club from DX Engineering, HRO, GigaParts, Universal Radio, etc., etc. – you won’t find any available, as Motorola isn’t currently the least bit interested in entering the cut-throat amateur radio market. Ask the same folks if they can supply a new digital repeater for D-Star or C4FM and you’ll get a totally different answer. At this point, you seem to believe that Motorola’s MotoTrbo system is “the” standard within the world of digital radios, and while they certainly have a large market share in the commercial and government space, Motorola’s market share is no where near as large within the amateur radio, prepper, or small business markets, which may help explain Motorola’s decision to sue Hytera over their entry into the MotoTrbo digital space. In addition, MotoTrbo is only one of several different digital radio platforms, each one with it’s own fan base prepared to defend their platform as “the best choice”. In the end, the market will decide, but that may take several more years to become clear. I’m certainly not privy to internal Motorola legal decisions, but it would not surprise me one bit if Motorola (fresh off their legal win vs. Hytera) turned and looked with a raised eyebrow towards any one of a number of other Chinese or Japanese DMR manufacturers, which could include AnyTone, Alinco, BTech, Connect Systems, PowerWerx, TYT, etc., etc. We all know that many of those overseas manufacturers are really good at copying the designs of American products, but if Motorola feels they copied their MotoTrbo DMR technology and patents a bit too closely, well, the MotoTrbo DMR fight might just be starting to heat up. If you use encryption, then DMR (rotating encryption on multiple frequencies, no less) is actually fairly secure (in terms of the modulation), not your location, as Bob rightly pointed out. I’m not as familiar with D-Star and Fusion, but I don’t think either includes encryption like DMR does, making DMR the clear choice for secure SHTF communications. Well, if you’re really worried about security then DMR will cover what is said but not the transmission. If they wanted to, anybody could build a device that, with a couple of short transmissions, they could have someone’s approxate location. The one post I will actually responding to seemed, to me, that the poster was implying using repeaters during a SHTF situation. So, I would use the least amount of power to make the contact to avoid being detected along with shortest transmissions possible. Commercial HTs are far more rugged but not field programmible so major repeater pairs (normal use) and a few off channel frequencies (narrow band) might be good. I store everything in an EMP resistant, waterproof box (specially marked but not obvious) with extra (rechargable) batteries (you don’t know how many charge cycles are left), chargers and alternate energy source for them. Might cover most situations, lol. I would not depend on repeaters. During Sandy, there were no repeaters on the air that I could hear from my location which is about 25 miles from NYC. They were all out, and that wasn’t even a hurricane. Also, the simplest setup has the least amount of things that will go wrong. You really could be on your own. Since you are relatively new to ham radio (approximately 4 years), many of the assumptions you make (relative to how well MotoTrbo works vs. other digital protocols, or how well digital (in any protocol) works vs. analog seems to be primarily based on mfg. spec sheets, or how “secure” digital transmissions are vs. analog, so let me try to help. First, MotoTrbo style digital radios are tweaked to get every last bit of audio possible within their various digital codecs, but the analog side of their audio performance is generally lacking – particularly in digital radios that are designed to hit a certain low price points, so while some newer MotoTrbo radios offer analog their audio performance is normally less (in some cases far less) than their standard analog counterparts. Watch any number of youtube digital radio HT comparisons to validate this yourself. Second, simply using any MotoTrbo style digital radio (whether it’s your AnyTone or my TYT dual-band MD-UV390G) does NOT provide you or me with true private or covert communication capability, it simply makes the conversation gibberish to anyone listening in on the same frequency with an analog radio. Chose an analog radio with an audio inversion scrambler chip and you get the same effect – those folks with a Baofeng analog radio (without the chip) won’t understand you. Neither of those two choices provides a true secure covert solution, but it’s certainly better than nothing – just so you understand that neither choice is truly “secure”. As Bob correctly stated earlier, counting on someone else’s repeaters to be up and working during a SHTF scenario may come back to bite you, but certainly having hundreds of additional analog repeaters in the area (vs. a few MotoTrbo repeaters) improves the odds of at least one or two analog repeaters still being up and running. In your area of southern CA there made be an abundance of MotoTrbo repeaters, but in most areas of the country they are few and far between, so the likelihood of having one nearby (and within range of a 5 watt handheld) is poor for most folks, as is their ability to field program the MotoTrbo unit (if required) precisely because of the SHTF event. As before, it’s great that you have discovered the world of MotoTrbo and I hope they work well for your family’s situation, but since most preppers prefer the gray man approach to survival, which do you think would draw more attention in your version of the need for communications during a SHTF scenario, one where two guys are chatting back and forth on your standard FRS, GMRS, Marine, or MURS channels using analog, or one where those same two guys are using any type of digital transmission (be it MotoTrbo, P.25. NXDN, etc., etc.) on those same FRS, GMRS, Marine or MURS channels? Since every government comm geek on the U.S. payroll can immediately tell the difference between analog vs. digital transmissions, and knows that digital transmissions shouldn’t be on standard FRS, GMRS, Marine, or MURS channels, the likelihood of preppers being noticed (using digital transmissions on non-digital frequencies) is high, unless you assume that every prepper (and their family members) gets their amateur license prior to the SHTF event in question, and that every licensed prepper (and their licensed family members) only use digital transmissions on approved amateur radio frequencies (so as to remain gray and not standout). Otherwise it’s like going hunting with your buddies (they take their bows and you show up with your .308 Winchester) – trust me somebody’s going to notice. Where are you getting your information? I’ve been amateur licensed since 2003 and into radio for about 41 years. Again, the security I’m talking about is using data encryption via DMR radios. I am fully aware that “voice scramblers” and DMR unencrypted is not secure. I’m not sure how you read what I wrote and assumed such. This is not my first rodeo. Still not worried about repeaters during TEOTWAWKI, but thanks for the redundant lecture. As well, even though the analog performance is agreeably lower on DMR radios than some other analog-only radios, it’s not a hard and fast rule, especially with the newer DMR radios. They are getting better all the time, and if my audio is down a few dBs but it’s still getting the job done, then I’m really not worried about it, especially if I have a dual-band analog + DMR + secure encrypted DMR in the same HT. I also never said anything about using DMR on a PRS band. Where are you getting this, or are you just making wild assumptions about how I would use a radio during SHTF? Are you sure you’re on the correct thread?